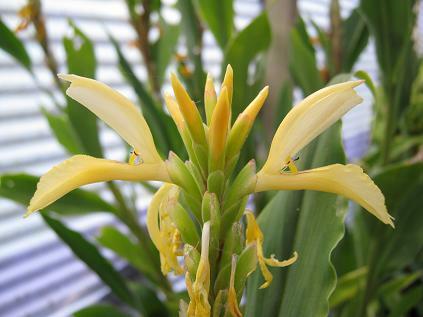 This plant is becoming quite common in cultivation because it is being distributed wholesale by Ganesh Mani Pradhan from their nurseries in India. 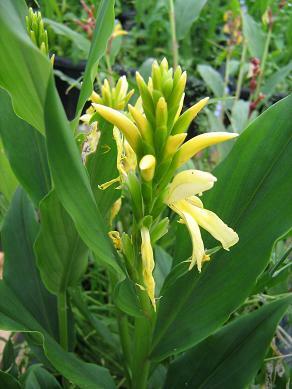 They describe it as Cautleya gracilis, however this species should have from 2 - 10 flowers on the scape, and this has far more. 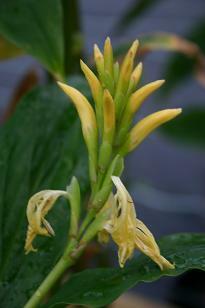 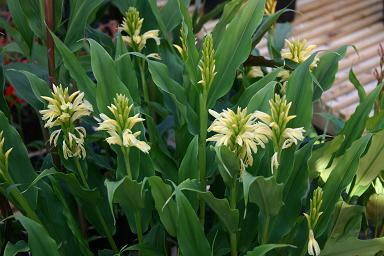 This seems to be Cautleya cathcartii. 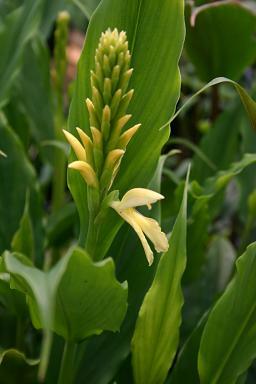 This form is distinctive, having no red colour in the flower or bracts, and really deserves a cultivar name.